There are two precious metals markets: the physicals market and the paper market. Pay attention to the physicals market. It is the real market for gold and silver in the same way houses and commercial properties (rather than mortgage-backed securities) are the true real estate markets. 4 BILLION PEOPLE PREFER PHYSICAL BULLION. People in the Far East and Middle East prefer PHYSICAL gold bullion to promissory pieces of paper. China is now the biggest buyer of gold bullion in the world. (China is also buying silver and gold mines.) According to London traders, buyers from the Eastern Hemisphere have been vacuuming physical metal out of the market for the last ten years. The transfer of gold from the West to the East is massive and on-going. As “Good Delivery” bars become available, the 400 oz bars of pure gold bullion are migrating to China, India, Korea, Japan, UAE, Thailand, Vietnam, Turkey, Iran, and Russia. Since the 2008 crash, China’s purchases have been off the charts (about 75% of world gold production). Most investors in the West buy and sell on the exchanges without ever taking delivery of actual gold or silver. The paper market is easier than the physicals market (especially with silver). Investors do not have to pay for shipping or worry about storage. Spot prices quoted by exchanges refer to gold and silver contract prices. On the Commodities Exchange in New York (COMEX), a gold contract is for 100 Troy oz; a silver contract is for five 1,000 oz bars. In London, a “Good Delivery” gold bar weighs between 350 and 430 Troy ounces of .995 pure gold. Quoted spot prices do not include costs for delivery of gold and silver contracts (100 to 430 ounces of gold; 5,000 ounces of silver). The terms “paper gold” and “paper silver” refer to paper receipts that substitute for physical silver and gold. Examples are futures market accounts on the COMEX and shares of NYSE-listed Exchange Traded Funds (ETFs such as GLD and SLV). The PAPER market has an unlimited, virtual supply of silver and gold. In this securitized, fractional-reserve system, they sell contracts without the necessary bullion to back the contracts. Gold and silver ETFs are leveraged to the hilt. If you own these ETFs, you have risk, rather than protection (the piece of paper is not backed by actual bullion oz for oz). Investors’ exposure to third-party risk is minimal with ETFs, until interest rates begin to move wildly (as in June 2013). Most GLD/ SLV buyers have never read the fine-print on their contracts. In reality, derivatives investors own nothing more than highly leveraged certificates, and are exposed to the risks associated with Treasury Bonds. A paper certificate that represents debt is not good insurance in these economic times. Paper gold and silver trade like physical silver and gold until –suddenly– the music stops. Highly-leveraged derivatives eventually unwind; and investors get hurt in the unwinding process. If you take delivery of PHYSICAL gold and silver, you have no third-party risk and liquidity under all market conditions. No other thing is as easy to trade as a silver or gold coin. There is always someone else who wants to trade real gold and silver money. In the 1970s, U.S. coin dealers began trading gold and silver bullion coins at market prices, rather than at government fixed prices. Anyone can easily trade “bullion” coins. 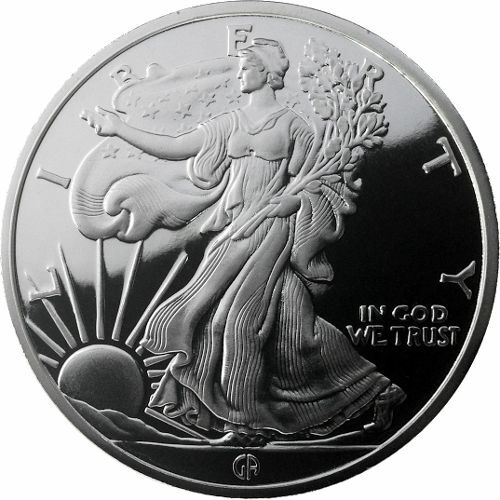 A bullion coin is a real coin from a sovereign nation or private mint. 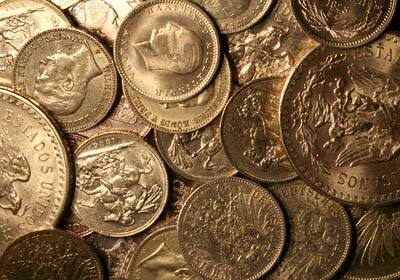 Bullion coins are traded according to weight, rather than “numismatic” value (rarity). Usually, the dates, condition, and mint-marks have little affect on coin prices because they are produced in such large numbers. In 1970, my brother Craig Rhyne began trading gold bullion coins such as British Sovereigns, Colombian pesos, Swiss 20 francs, Austrian coronas and ducats, Hungarian 100 koronas, Mexican pesos, and South African Krugerrands; and “bags” of U.S. 90% silver dimes, quarter, halves, and dollars (according to the “face value” of the old silver coins). The 24-karat gold Canadian Maple Leaf (below middle) became available in 1979. In 1985, the U.S. Congress passed the Bullion Coin Act, authorizing the sale of American Gold Eagles (1 oz coin below left) and the 1 oz American Silver Eagle below right (first available in 1986). Platinum Eagles became available in 1997. Purchasing PHYSICAL silver and gold is much different than purchasing gold and silver certificates. The price is firm when the trade is locked in. For example, when you place an order for U.S. 90% junk silver coins, a dealer shops the market to secure the actual silver coins. A customer’s price is locked in when the dealer purchases the coins for him. If the supply of junk silver coins is low and market demand is high, the premium is bid higher. When supplies are scarce, dealers must pay much higher premiums over the spot price to acquire the coins. Usually, coins and bars cost more than the spot price. Think of the spot price as a “benchmark.” Premium is the difference between spot prices and current market prices for particular gold and silver products (before commission). A dealer’s cost includes the coin or bar premium. Refining, minting, and shipping costs contribute to coin and bar premiums. For example: ten (1/10th oz) gold coins cost a dealer more than one (1 oz) coin. One hundred (1 oz) silver coins have higher premiums than one (100 oz) bar of silver. Spot prices and coin premiums constantly fluctuate. Premiums for coins and bars are not fixed. Premiums are a function of supply and demand and are dictated by the marketplace. Rising premiums on gold and silver bullion coins indicate supply shortages of physical silver and gold. The best form of precious metals to buy is the form that will be easiest to trade in chaotic markets. Get some small coins. It is easier for individuals to trade small denominations. 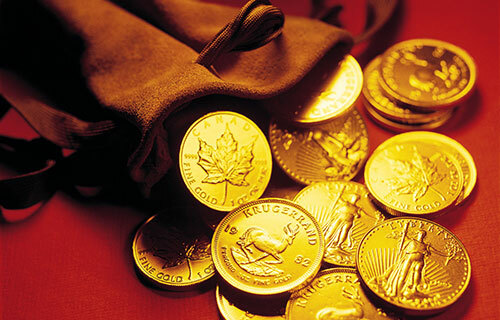 Gold coins from many countries are available in 1 oz, ½ oz, ¼ oz, 1/10th oz, and smaller sizes. Small coins command healthy premiums over the spot price. But the divisibility of small coins is well worth their higher premiums. A huge bar purchased at or near spot price might not be a very good bargain down the road. When you want to sell the large bar, the bid price might be well below spot. 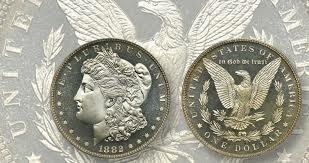 Gold and silver dealers provide bid prices and ask prices for a specific coins and bars. The difference (percentage) between bid and ask is called the spread. 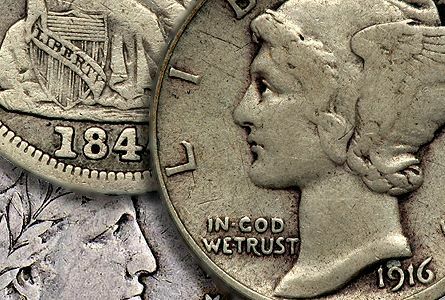 You will find smaller spreads when you trade recognizable coins that are in high demand. Usually, dealers are just as eager to buy from you as they are to sell to you because gold and silver are so liquid.